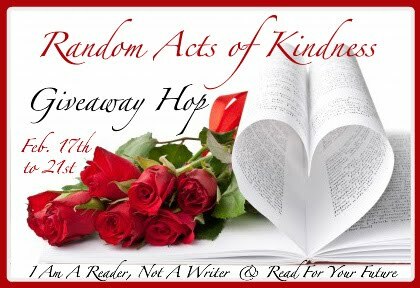 The Best of 2011 Giveaway Hop is hosted by I Am A Reader, Not A Writer and Read for your Future. It will take place from February 17th - 21st. My Giveaway? I'm giving away a book of your choice (under $15). This is a International giveaway. I will use random.org to choose a winner. The winner will have 48 hours to respond. This contest will end February 21st at 11:59 PM. I will announce the winner a couple of days after. Great hop and giveaway. Thanks. Thank you Alexis, Happy Weekend!!! No problem. It is my pleasure. I always feel bad when I don't make it international. Lol. It is easy enough so no problem. Thanks for participating in the hop and your lovely RAK with this giveaway opportunity. Hops are so fun! Thanks for the great giveaway!